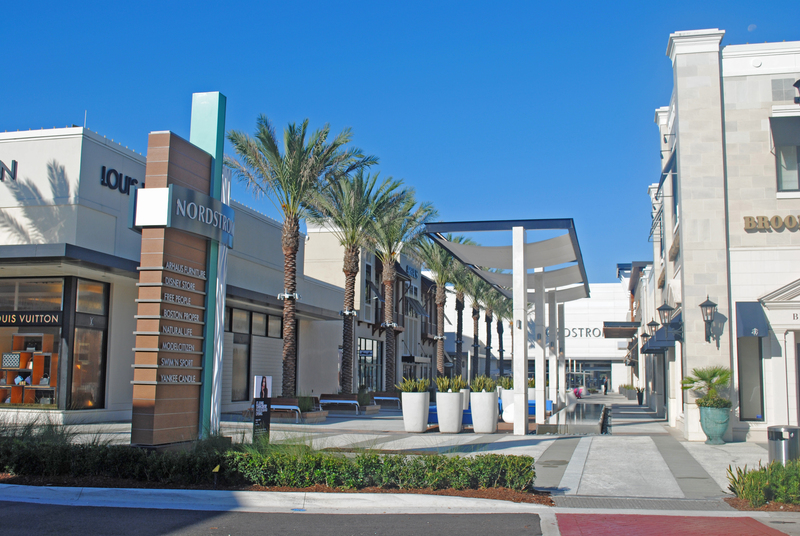 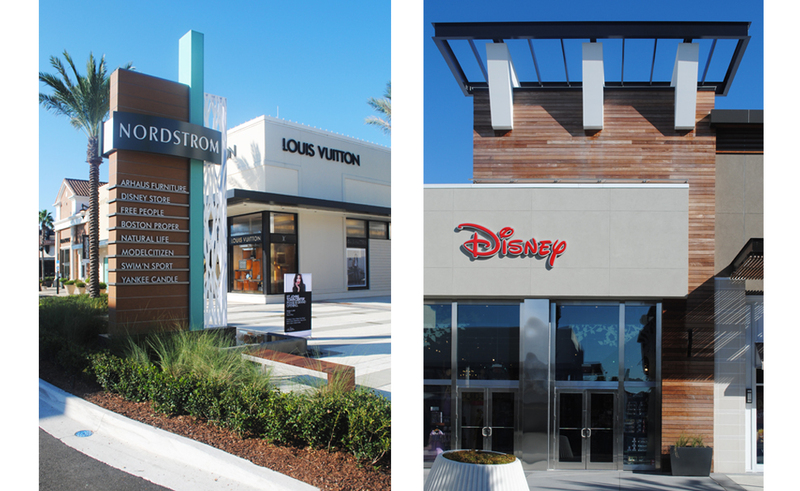 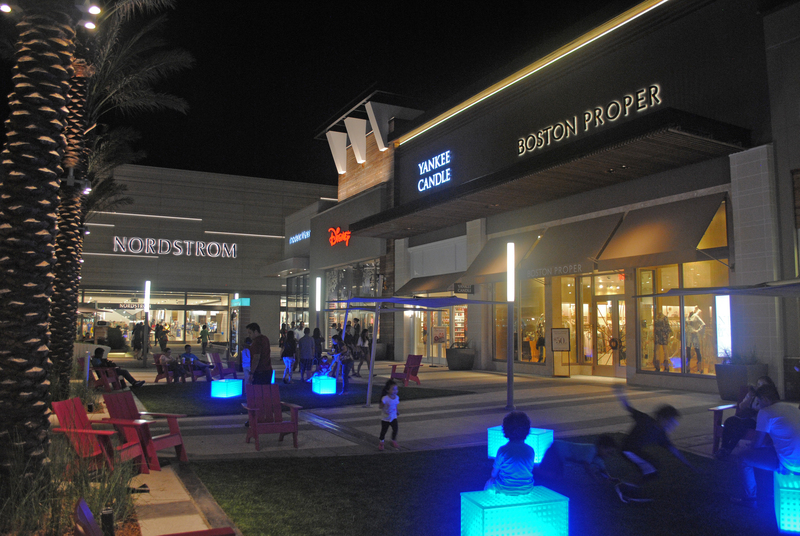 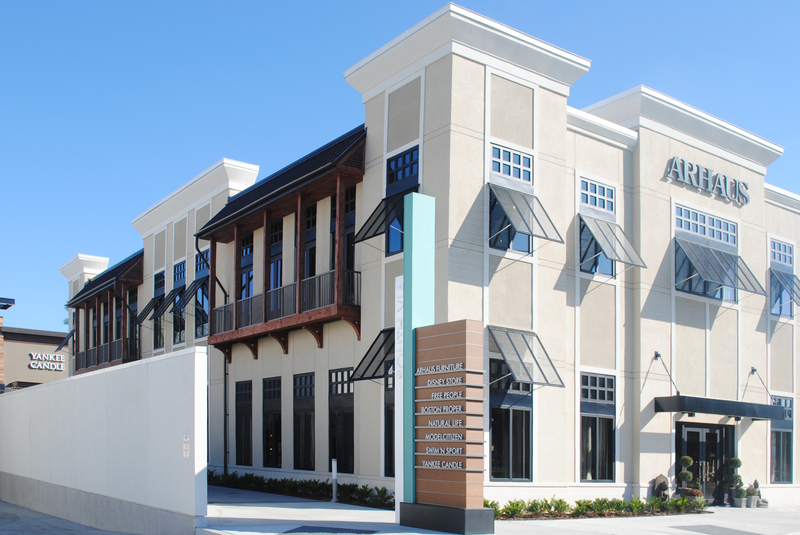 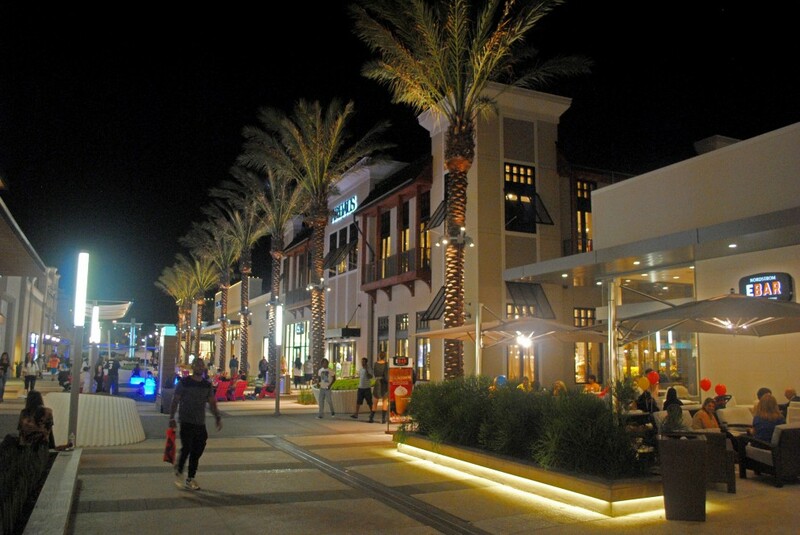 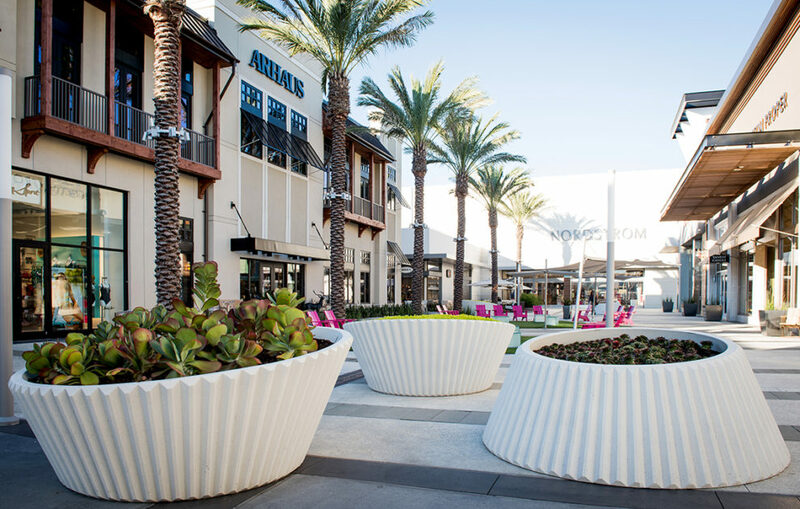 Designed as an addition to the already existing St. Johns Town Center, Phase III of the project was to appropriately expand the outdoor shopping center to accommodate the arrival of Nordstrom. 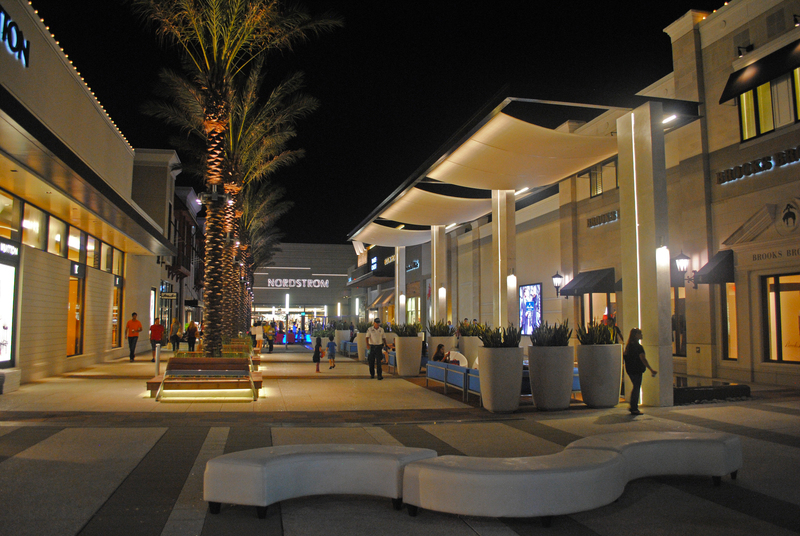 The path to the department store was broken into three sections: The Transition Court, The Shopping Court, and the EBar Lounge. 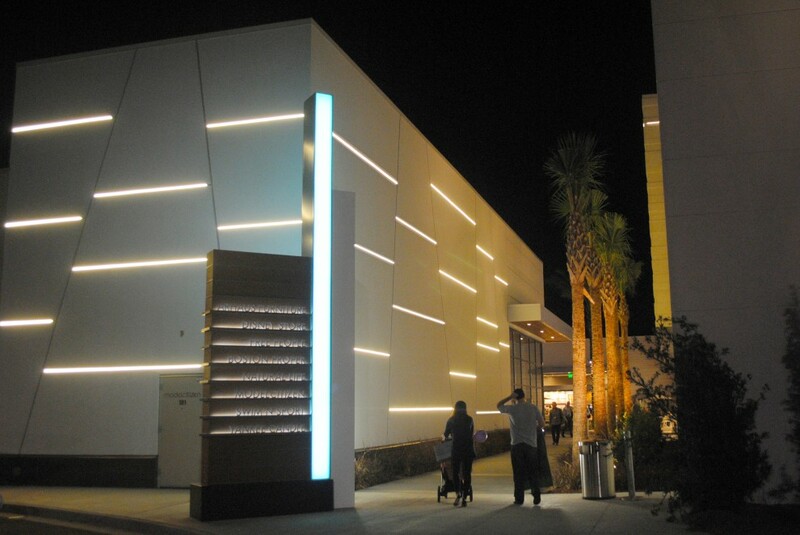 The Transition Court is designed as a focal point to create an elongated entrance into the pedestrian court. 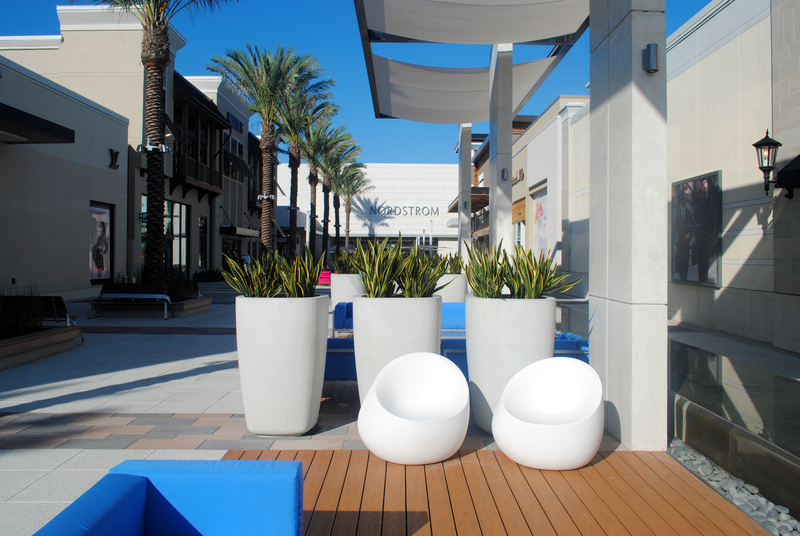 Large shades are provided as an architectural element to activate the space and shelter patrons. 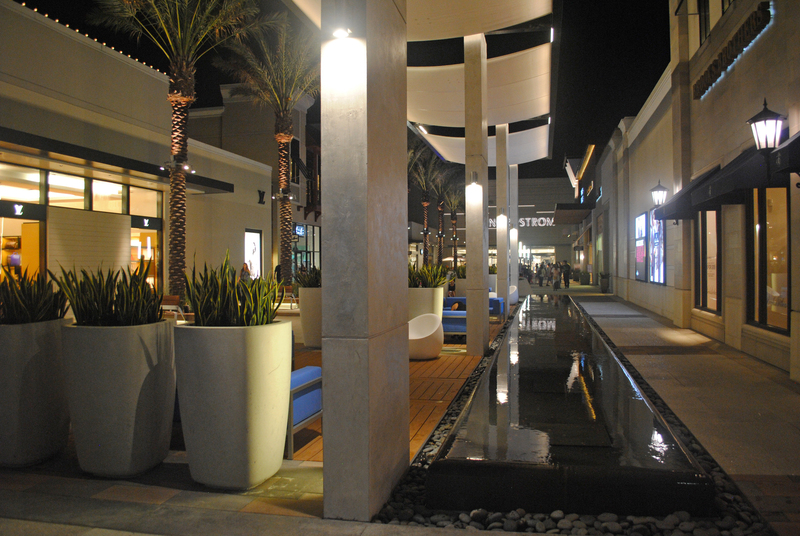 Spa-quality furnishings and an edgeless pool soften the hardscape while providing lavish gathering areas. 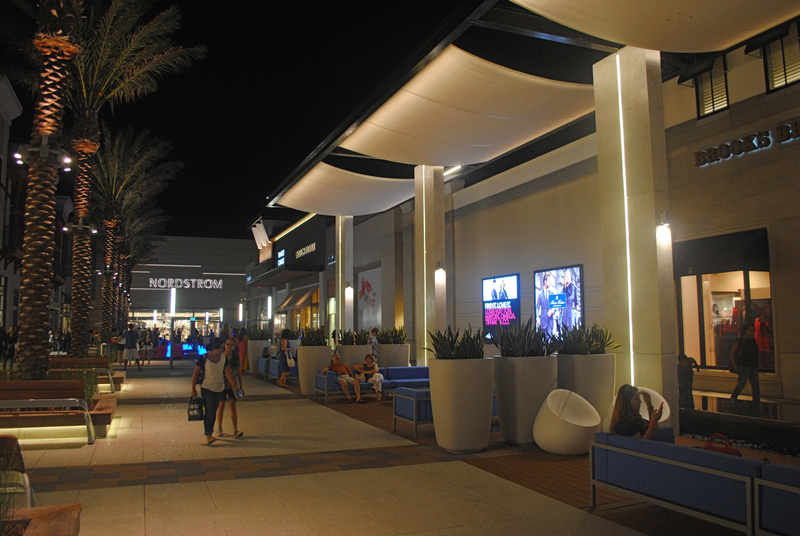 Small shops flank the Shopping Court, which is an active area where shoppers can easily access the retailers while they cross shop the area. 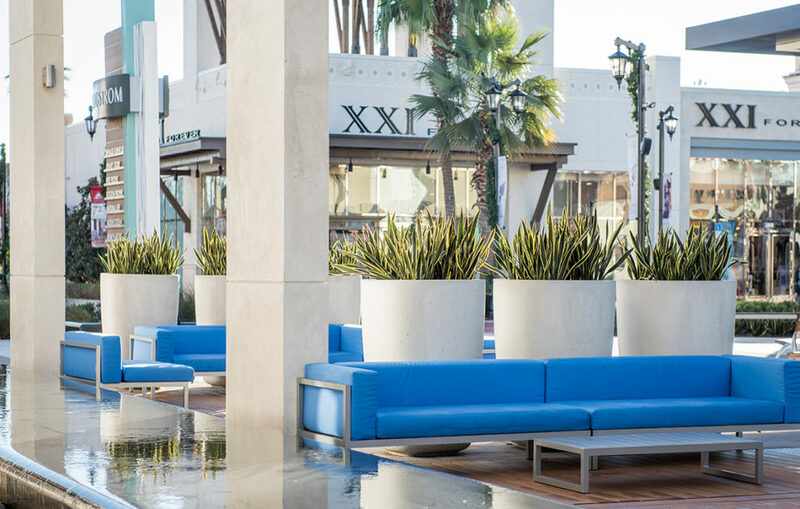 The EBar Lounge encourages people to dwell in the space. 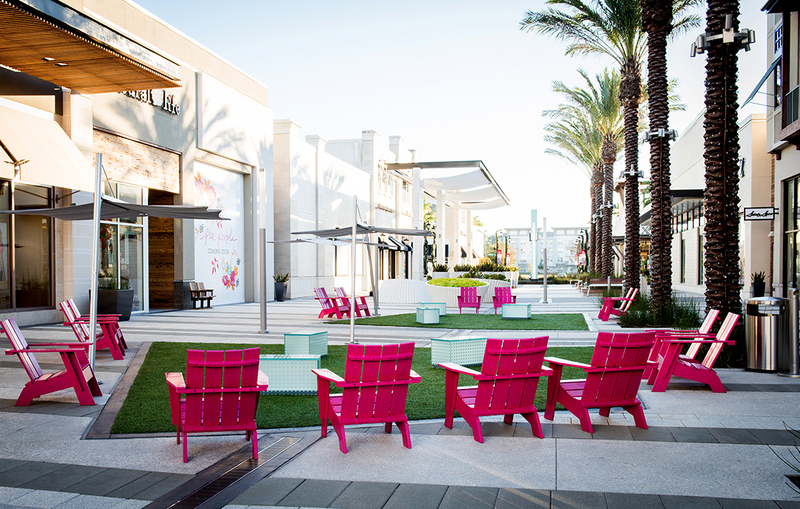 The lounge area outside the EBar will create a comfortable area to relax and recharge while highlighting Nordstrom’s entrance.